This sermon was preached February 7, 2010, the day the Indianapolis Colts played the New Orleans Saints in Super Bowl XLIV. This is our first Sunday in February. So we we'll be looking at the first fruit of the Spirit which is Love. This may seem appropriate since next Sunday is Valentine's Day. For many of you, Valentine's Day is synonymous with love. You think about your special someone. You get a warm feeling in your heart. However others of you just groan when you think about this holiday. To you Valentine's is about overpriced candy and sappy love poems and cheesy chick flicks. And it makes you sick to your stomach. Well, this morning, that's not the kind of love we're going to look at. Maybe the sermon title was a clue. You might have expected "The Song of Love for You" or "The Whisper of Love for You," but probably not "The Scream of Love for You." Ironically in considering the theme of love, we have just turned to a passage in the Bible that is filled with hate-- that describes the gory, blood-stained, old rugged cross our Savior was brutally murdered and mocked on a skull-shaped hill. And the hate was not just from the Jewish crowd, the Roman soldiers or the corrupt religious leaders. The greatest hate that was aimed at Jesus on the cross was from God Himself. Yes, there was spitting and mocking. Yes, there was beating and cursing. Yes, there was piercing and taunting hurled at Jesus by these people. But that did not compare to the revulsion, the condemning, the damning of God the Father. This is not only the most hate-filled chapter in Mark's gospel. These are the most hate-filled verses in the whole Bible. Yet, in an amazing plot twist, we will see that this is also the greatest display of love. We need to see that this morning. Some of you are struggling to see how God could love you-when you feel so worthless, when you feel overwhelmed by your sin, when you feel like you can never be forgiven for what you did in the past or what you're struggling with today. Others of you are so in love with yourself, that you don't think your sin is a big deal at all. You need to see how dead serious your sin is to God. You need to see how much your sin cost Jesus. This morning as we look at Christ's crucifixion, we're going see His unbelievable love for us in the midst of hate and wrath. And we're going to hear a scream that I hope will overwhelm those of you who are comfortable with your sin. And a scream that I hope will comfort those of you who are overwhelmed with your sin. 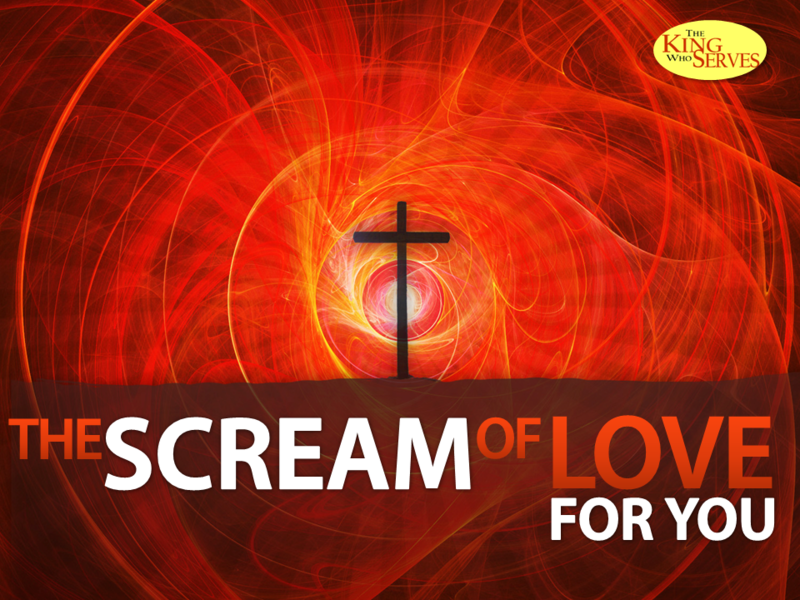 This morning we're going to hear Christ's scream of love for you.